Over 70 civil society representatives and print, radio, TV and online journalists from Foumban, Bafoussam and Bamenda discussed during one workshop and 3 in-house trainings the role of media in the up-coming elections in Cameroon and the potentials and obstacles for the implementation of peace journalism as a tool for electoral journalism. 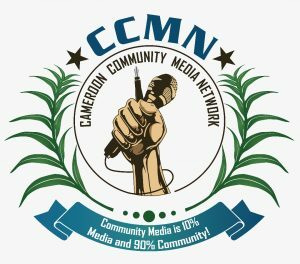 The CCMN – Cameroon Community Media Network in co-operation with CAMASEJ NW and AJP CEDES Foumban organised one workshop and three in-house trainings for civil society representatives and journalists from the North West and West Regions to reflect on the application of peace journalism during the up-coming election in 2018. Prof Steven Youngblood was resource person during the workshop and the in-house trainings and discussed with the journalists and civil society activists applications of peace journalism during time of social tensions, reporting of refugees and migration and elections. 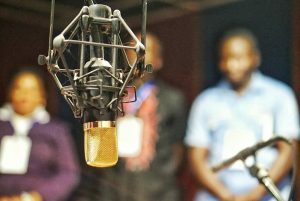 The participants from Bamenda, Bafoussam and Foumban raised questions on the possibility of the implementation of peace journalism in the Cameroonian context, the role of media in peace and conflict situations and addressed the economic, social and political situation of the Cameroonian journalists. Journalists from some media houses in Bamenda and some civil society members have been fine-tuning their skills on peace reporting (peace Journalism) in a workshop holding at the Presbyterian Church Centre Mankon, Friday July 21, 2017. The workshop is coming as Cameroons anticipates general and local election in 2018.